Hello, and welcome to Good Vitis. I appreciate you checking the website out and I promise to use it to the best of my abilities to entertain and inform you so that you visit the site often. I’m not a wine professional, but rather a modest collector with a curious palate who has been lucky enough to help make wine at a professional winery a few times (which means I’m very good at cleaning a crush pad). I’m drawn to wine, like a teenage girl to Justin Timberlake, because it indulges two of my greatest weaknesses: the romanticism that comes with producing something from nature and a deep intellectual quest. I love wine and I like to write, so hopefully this experiment works out. Since the purpose of Good Vitis is to document my search for as much really good wine as I can find within the limitations of normal life (resources, time and health), it seems appropriate then that I kick off by going through some of my more successful attempts. You’ll notice that the list of my most memorable red wines below is heavy on the New World, which can come into conflict with my preference for the Old World style of restrained, low alcohol, Earthy and medium-bodied wine if I’m not careful about who I buy from. The Washington, Oregon and California wines in the list below came from producers known for producing in the Old World style. As I’ve built my collection I’ve implemented a rule that I’ve broken only few times: if I can’t taste it, I won’t buy it. I try to plan out my cellar so that I have 6-12 bottles of wine that are in their optimum drinking window each year, which means I’m now buying wine that needs 5-15 years of aging. I’m also slowly balancing the contents of my cellar to include more French and Spanish wines, focusing on Bandol, Chablis, Priorat and Bierzo. And, I’m doing this within the confines of relatively limited cellar space. It will take time, but I know it will pay off. In the meantime, I’ll continue to buy aged wine, go to tastings, share special bottles with fellow collectors, and travel to wine regions. Good Vitis will document this journey and I hope you become part of it. I’m going to use the post today to cover the ten most memorable red wines I’ve had to date, and will follow up in a subsequent post with the most memorable whites even though this feeds the “Winestream media bias” narrative pushed by The Wine Curmudgeon in a recent study they conducted (which is worth reading despite a methodological issue that I’ll discuss in another post). On to the topic at hand: the wines. Nose: gorgeous, big nose of candied and tart cherries, tutti fruiti, dark soil and banana leaf. Palate: rich, deep cherries, smoke, candied bacon, tar and hickory flavoring. It’s smokey and perfectly ripe with mild but rich mushroom funk. Full bodied, fully integrated wood tannin with a bit of skin tannin still peeking through. There’s a perfect level of underlying sweetness to this that does not distract from the Earthy and savory notes. Very Burgundian in style and weight. 97 points. What set this wine apart from all the others is the total harmony it achieved. The fruit was satisfyingly sweet and pure, and melded perfectly with the viscosity to achieve real satisfaction. The savory elements were beautified expressions of their natural states, and enhanced the fruit. All of this was achieved through a perfect balance of weight, tannins, acidity and alcohol. I had this just a month or so ago, so it was 16 years old, and it still had another 2-3 years of greatness left. Winner: 2007 Delille Harrison Hill. Nose: cola stands out at first in this beautiful nose. Also a berry medley that becomes dominated by strawberries and boysenberries. There’s a touch of earthiness, and floral notes of rose and violets. Also a bit of pepper and cardamom. Fruit is the dominate scent, with only a whisper of oak. Palate: Cola again. After 1.5 hours of decanting the dusty tannins are nicely integrated with lively acidity and iodine in the mid palate. Fruit is nicely leveled with strawberries and cherries. Also some nice loam minerality and bit of chewiness from the tannins. A wonderful violet essence builds as the wine takes in more air. With 2 hours things start to mesh and integrate allowing the prettiness to sing as the chewiness disappears. This is a masterfully blended wine – you know it’s Bordeaux style, but it’s so much about the profile that you don’t notice or care about its varietal components. Definitely a wine that is more than the sum of its parts. Going into the third hour, the fruit flushes out into cherries. Finish: very smooth and long-lasting. The cola rides indefinitely with a touch of smoke and saline. The floral notes, especially violets, flutter about throughout. An extremely impressive wine that is doing very well after almost 7 years in bottle. 96 points. Washington has a number of different growing regions, each with their own unique signatures. Harrison Hill vineyard is in the Yakima Valley and its signature that I recognize is dark berries, iodine, smoke and saline. Delille’s blend offers an expression of this profile that I can’t resist. I’m also a sucker for floral and spicy notes, and this bottle offered both in spades. If there’s a better blender than Chris Upchurch out there, please point them out so I can drink their wine. Mount Veeder Winery vineyards. Credit: Mount Veeder Winery. This bottle was probably the first “best” wine I ever bought and aged myself, and beyond being a great bottle of high quality wine it sticks out for really one reason: so much mint. I’ll admit to being a novice when I had this wine, but it showed me something seasoned fans of cabernet sauvignon come to know: in certain places of the world the grape shows exceptional herbal mint flavors. Sadly, I didn’t take notes when I drank this bottle, but I’ll always remember its mint notes. At some point I’ll be stashing a few of Craig’s Veeder cabernets in the cellar in the hopes of eventually reliving my minty experience. Nose: dark cherry liquor, leather, spice box, burnt orange rind and touch of limestone. Palate: very smooth with just a touch of dusty tannin. Light body with bright acidity and high notes of tart cherries, strawberries and raspberries. Leather, tobacco leaf and rose. With time candied plum emerges. 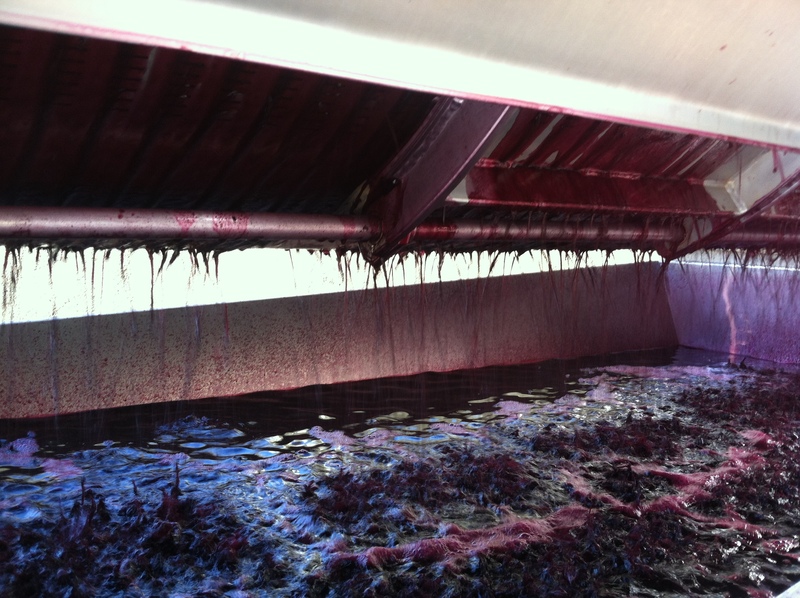 Finish: mouth drying tannins leave behind the tart berry medley. Nice Rioja on its own, but some Stori Dimon cheese from Iceland I had made it really pop. 92 points. Nose: medium aromatically. Dark fruits, mostly cherry, but it’s the savory elements that dominate nose, palate, and finish. Meats, iodine in the nose, almost no oak detected. Bit of an alcohol burn early on. Cherries come through after two hours, along with black olives, green bell peppers. Evolving nose, smell something different every time. Interesting in a very good way. Palate: savory, salty. Medium pepper. Meat, bacon fat. very smoky. Thinish wine, but full of flavor. After 1 hour tannins are almost imperceptible, but still has a solid structure. Good acidity. Finish: Smokiness explodes on the finish as the saline comes through. Medium finish length. 94 points. Nose: very aromatic wine. Iodine/iron jumps out early followed by violets and dark, almost sour cherries plus mild blackberries and raspberries. Bit of smokiness, and with more air the fruit and its sweetness in the form of gummy worms emerges. Palate: lively acidity makes up for lack of tannins, holding the wine firmly together. Predominantly savory flavors over first hour with bacon fat, tarragon, iodine and smoke. Sour fruits of cherry and huckleberry along with rose water. Into second hour, pepper comes out as the sour fruit deepen and start becoming sweet. Finish: Touch of warm heats leads into pleasant smokiness and barely sweet cherries. Definitely leans more old than new world. 94 points. Gramercy produces a wide range of varietals and blends, and its club is perhaps the most rewarding I’ve ever been part of in terms of what they do for their members; in 2015 he made a few cases of Washington’s first (natively grown) picpoul for God’s sake, and it was awesome! Their release notes for the wine club are super entertaining as well. Check out the Spring 2015 notes for a great example. The 2007 Arns Melanson syrah from California fleeced us all in a blind tasting. We had half a dozen syrahs from around the world lined up and paper bagged and the only unanimous guess was that this was Northern Rhone. I love Northern Rhone syrahs for their meaty and herbal and smoky savory goodness, but this Arns is the closest thing to that profile you’ll find in this post. It was also perfectly aged. Pure bliss, a top-5 all time wine for me. I didn’t take notes but it would’ve received at least a 95. Fruit compote of blackberries, plums and cherries on the nose, along with black pepper and tobacco. There’s some wildness to it along the lines of a northern Rhone syrah, and wet soil. Over time, spearmint emerges. The palate is medium-plus in body with dense, grainy tannin. Medium acidity helps cut the tannin and define a dense structure that achieves a lightness that the nose does not suggest. Flavors include dark cherries, blackberries, smoke, cocoa, espresso and peppermint. It’s a dark and brooding flavor profile. The finish is long and pleasant. This is still a young wine and requires at least 2-3 hours of decanting before consuming. It has a good 3 years of prime drinking ahead of it, at least. For the price, this is better than most cabernet sauvignons from any part of the globe. 93 points. This is New World brilliance but without the heavy sweetness and alcohol, which means its flavors are laser-focused because they aren’t beat down by brooding weighty, sugary tannins or alcoholic burn. One of my biggest complaints about Israel’s wine industry is that it has yet to develop a signature style or grape, and though this bottle doesn’t address that complaint it makes a very compelling argument for not caring. Category: holy crap, what is this, and can I have more, please? Turley is known as one of the best zin producers in the world, and for good reason. Yet this bottle didn’t taste like zinfandel. In fact, I didn’t know which grape or blend it was when I first tasted it; it was simply an amazing flavor profile that harnessed the best senses of humor and whimsical playfulness I’ve experienced in any wine. I should note I had this wine in the summer of 2016, so I now know that really good zinfandel can go that long. You know how sometimes you really just want to chug some fruit punch drink? This 1994 Turley was the adult version of that. The fruit was playful and popped and I didn’t stop smiling until the next day. Category: see, this is why you age Chateauneuf! Drank at dinner, no formal notes. This is awesome right now. Great balance of fruit and savory aromas and flavors. Nicely balanced structure with lively acidity. This is definitely on the more elegant end of the CdP spectrum. It probably has another 2-3 years of prime drinking left. 95 points. Frankly, it was everything you want in a CdP: dark fruits, smoke, graphite, garrigue, tar and black pepper. It offered all of this in an elegant manner with a gorgeous mouthfeel and perfect balance. And at 18 years of age it showed its wisdom. This wine, and this wine only, is what I think of when I dream of Chateauneuf. You’ve probably never heard of it; it’s a very exclusive wine. Only one case of it was made and less than two dozen people have been allowed to taste it. See, I know all this because I made it (along with a friend/professional winemaker at a professional winery). It’s single vineyard Virginia merlot gently pressed and made with the least amount of intervention by human or science we could muster. Aged 11 months in glass carboys, six-plus months to complete malolactic fermentation, gentle yeast, minimal sulfur, one racking and no fining or filtering. There’s nothing like drinking wine you made and it’s completely fulfilling to share it with friends and family. It’s not the best wine I’ve had, but it’s my wine. I also bottled numbers 2-7 which were either from batches that received different wood and yeast treatments or blends of the batches at different percentages, but number one really is number one: single vineyard and no oak, I’d be hard pressed to figure out how to convey a less unadulterated site and vintage expression. These are my ten most memorable wines. Now. I never want to forget them, but I hope that more wines etch themselves into my memory as these have. This may be a problem because my memory is the result of my genes, and that doesn’t bode well. Yet another reason to start Good Vitis. Putting these all on my shopping list. Very thorough!